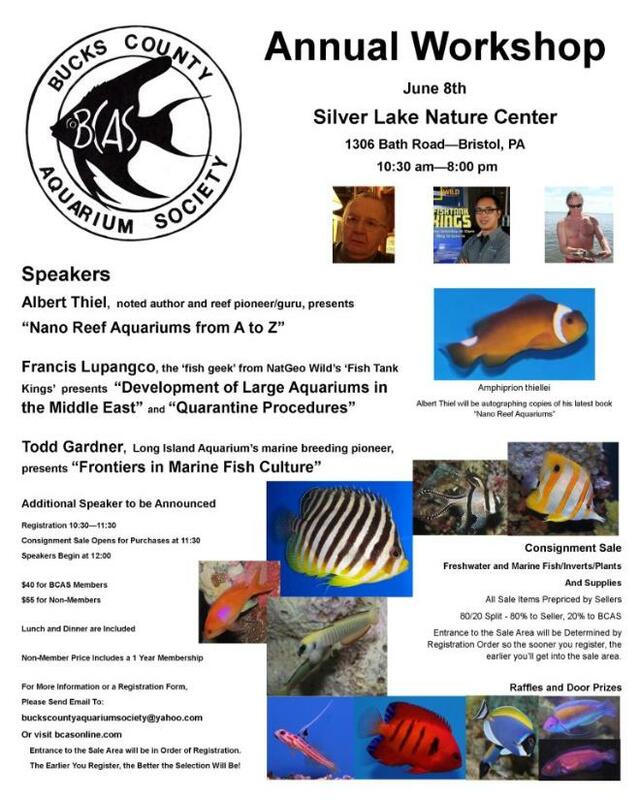 If you’re in the area, consider coming out to the annual workshop of the Bucks County Aquarium Society at the Silver Lake Nature Center in Bristol, PA this Saturday June 8. I will be speaking about Frontiers in Marine Fish Culture and I’ll be joined by an impressive lineup of speakers including Albert Thiel, Francis Lupangco (from Nat Geo’s Fish Tank Kings), and Mark Denaro. For more information, check out BCASonline.com. Happy World Oceans Day – the planet’s biggest celebration of the ocean!